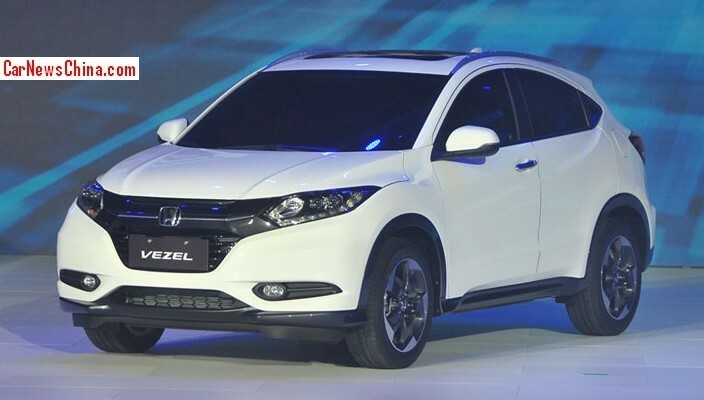 The Honda Vezel debuted today in Beijing, two days before the start of the Beijing Auto Show. The Honda Vezel is basically the same car as the Honda HR-V that debuted yesterday on the New York Auto Show. 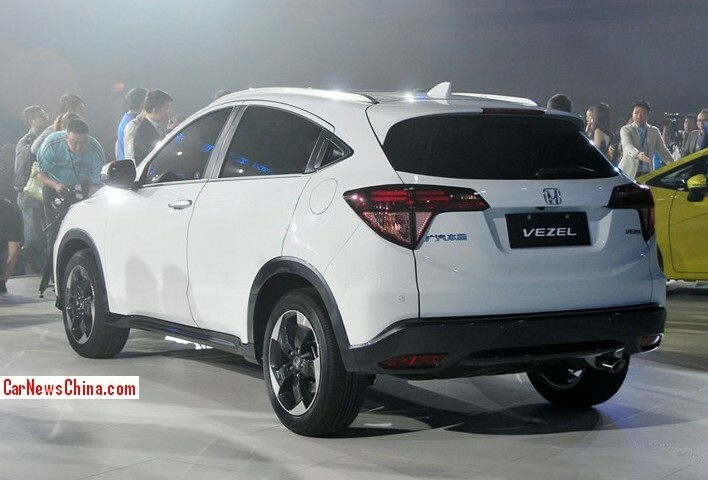 The Vezel is a compact SUV based on the same platform as the Honda Fit. The Honda Vezel is manufactured in China by the Guangzhou-Honda joint venture. It will be launched on the Chinese car market in Q4. Power will come from a 1.5 liter four-cylinder gasoline engine with 131hp and 155nm, mated to a 5-speed manual or a CVT. Price will start around 100.000 yuan.